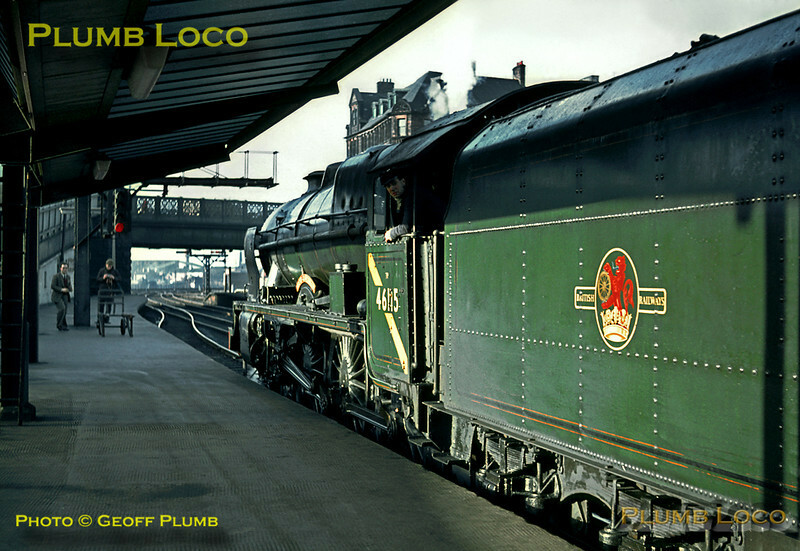 Pictures on the main lines from Euston to Manchester, Liverpool and Glasgow, from the final days of steam to the present day. Photos are in chronological order, oldest first! More photos being added as time permits! LMS rebuilt "Royal Scot" class 4-6-0 No. 46115 "Scots Guardsman" has just arrived at Carlisle Citadel station at the head of the RCTS "Rebuilt Scot Commemorative" railtour from Crewe via the Settle & Carlisle line and basks in the winter sunshine. Saturday 13th February 1965. Slide No. 1188.